On Sunday, January 13th, our Elders announced that the Lord is leading us to make some major changes at First Baptist Powell. We are devoted to striking a new balance between teaching/proclaiming the Word of God and building deep friendships/relationships that effectively applies that teaching in a way that encourages one another’s faith. I would also add an intentional focus on “missional living” that positively impacts the Powell community and northern Knox County. The centerpiece of these changes is the launch of wide-scale Community Groups for our church. We believe that the most impactful way to accomplish the mission of First Baptist Powell is through building relationships where the Gospel can be lived out and practiced in visible community. 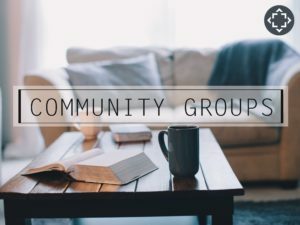 Community Groups (CG) are the method we have chosen to enhance the sharing of life together in God’s community, while accounting for the fast-paced, and often confusing world (community) in which we live and suffer. Community Groups are where we can encourage and build up one another to be successful followers of Jesus Christ. Acts 2:42 They were continually devoting themselves to the apostles’ teaching and to fellowship, to the breaking of bread and to prayer. While I cannot share all that was presented on Sunday within this blog (video presentations are on the website), I’ll try to summarize the benefits of CG’s for our church family. Opportunity to build deep and meaningful friendships (including a multi-generational aspect) that challenges us to fight for and increase our faith in God. Opportunity for us to use the spiritual gifts that God has specifically crafted for us (i.e. mercy, serving, exhorting) to serve one another, and experience a greater, more exciting joy as Christ’s love is shared together. Group members will experience a more personal and meaningful prayer life in a smaller group because of the love and concern being developed within the group – also the opportunity to celebrate together when God answers those prayers. CG’s provide us with a better way to experience “missional living” as we seek to impact our Powell community and the neighborhoods of north Knox County. Christ’s love is made visible by sharing life together in God’s community. This is extremely appealing to those who struggle with life and who God is calling to salvation. Also, evangelism becomes less fearful when you are doing it together as a team. Community Groups will meet on Sunday evenings for approximately 2-hours (not to exceed 2.5-hours) in member’s homes. They will share snacks or a light meal together, followed by God-centered discussion, sharing, and prayer time. Members will be assigned to a group based on geographical location, multi-generational intent, and best fit for members. We encourage groups to include children as much as is prudent, for them to receive the benefit of learning how to function in God’s community (however, we are also open to providing childcare). You can signup for FB Powell Community Groups before or after the Sunday morning or evening services, outside the Main Worship Center, at the Point. Or you can signup online at www.fbcpowell.org. Given that, the goals for Community Groups are very high and impactful; we have had to make some other changes to our weekly schedule to accommodate CG’s on Sunday evening. Beginning Wednesday, February 13th, we are offering a new Mid-Week Worship Service at 6:30pm for our church family and guests from the community. We will maintain our AWANA Children’s Ministry, Student Ministries (6th-12th grade), and Choir/Orchestra practices. Our weekly College Worship service will be incorporated into the Mid-Week Worship Service. We are looking forward to how these gatherings will serve to re-energize the entire family in the middle of every week. The installation of Community Groups and a Mid-Week Worship Service are the larger changes that affect the entire congregation of First Baptist Powell. There may be scheduling changes to other ministries as a result of the above. We will communicate those changes as they are worked through by those ministry teams. We recognize that change is not always easy, but it is often necessary. As church leaders, we are always evaluating ourselves and our church against what the Bible teaches and seeking the Lord’s leading in how to be most effective in accomplishing those goals. We invite our entire church family and guests to join us as we work to raise up fellowship at First Baptist Powell that leads to a greater exalting of our Almighty King! Rick moved from Pennsylvania to Tennessee in 2008. 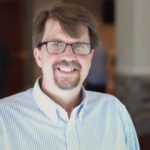 After 34-years in business, Rick became part of our full-time pastoral staff, responsible for developing strategies that meet our vision goals. He also leads our Family Ministries and Operations Teams. Rick and his wife Cindy have been married for nearly 30-years. They have 5-adult children.